If you’re selling your home, then you know how important it is to stage it. Staging your home makes it more appealing to potential buyers, as it’s easier for them to imagine themselves in the home. But what if you have a bonus room? How can you best stage a flexible room to make it attractive to buyers? Here’s what you need to know to get your bonus room ready for your home sale. When it comes to staging your bonus room, you’ll want to keep the needs of your buyers in mind. Is your home located in an area with young families? If so, think about the needs of homebuyers with young children. You can stage a bonus room as a nursery or a children’s playroom. Are your buyers likely to be young professionals? Then a bonus room set up as a home office or entertainment space would be ideal. Are you located in an area with a large number of retired empty nesters? Then consider staging your bonus room as a workout room, hobby area, or a guest bedroom for when the kids come to visit. Even if you’d love to stage a nursery in your home for sale, if your bonus room is a basement it would make a poor area for a baby. You’ll need to take the location and size of your bonus room into account when determining how to stage it. A better use of a basement bonus room would be a space for entertaining, a media room, or a playroom for older children. If the basement has it’s own bathroom and kitchen area, you could even consider staging it as a mother-in-law unit. If you’d like to turn your bonus room into a game room, be sure it’s large enough, especially if you’d like to include a pool table. Converted garages and sheds are great bonus rooms, and can be used as home offices and creative spaces. Just because your bonus room is an awkward space doesn’t mean it can’t be valuable. 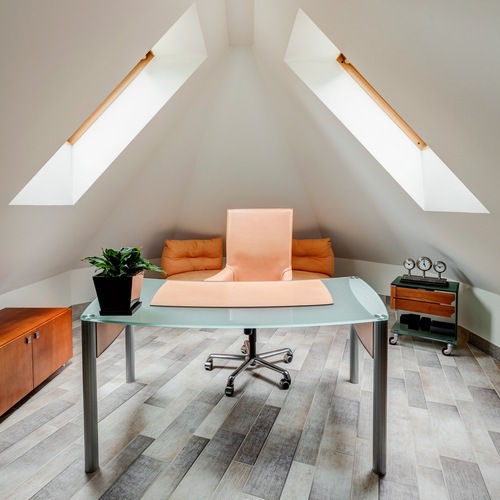 An attic bonus room may have sloped ceilings that would make it a bad choice for a master bedroom. But that same space could make an amazing home office or kid’s playroom. The same can be said for that unused space under the stairs. Consider turning it into a reading nook or a workspace. If you feel the space is just too awkward, think about adding shelves and turning it into valuable storage space. What homeowner couldn’t use extra storage? Finally, when staging your bonus room, don’t forget about the details! The details are often what really sell a buyer on a home. If you’ve turned your bonus room into a playroom, set up a board game on the table or have a children’s movie playing on the TV. If your bonus room is staged for entertaining, why not include a bottle of wine and two glasses on an end table? By including special touches such as these, your buyer will have an easy time seeing how livable and inviting your home can be.